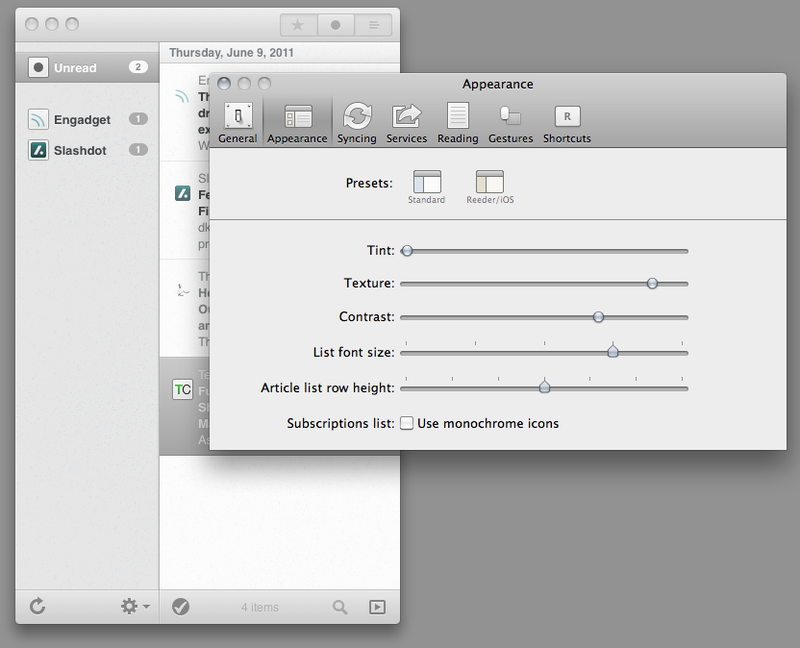 The incredible feed reader comes to OS X via the Mac App Store. Reeder is a $9.99 bargin right now, and would still be a steal at twice the price. I caught a news of it on The Brooks Review and quickly snapped it up. Gestures, the very same gestures that made the Reeder app so useful (swipe left / right to star / unread, swipe up / down to get the next article, pinch to open in Instapaper / Readability, and more) are all fully available on Reeder for Mac. Gestures are a definite win for me. Apple’s Magic Trackpad brings every gesture to your desktop, on a much larger surface than on notebooks. 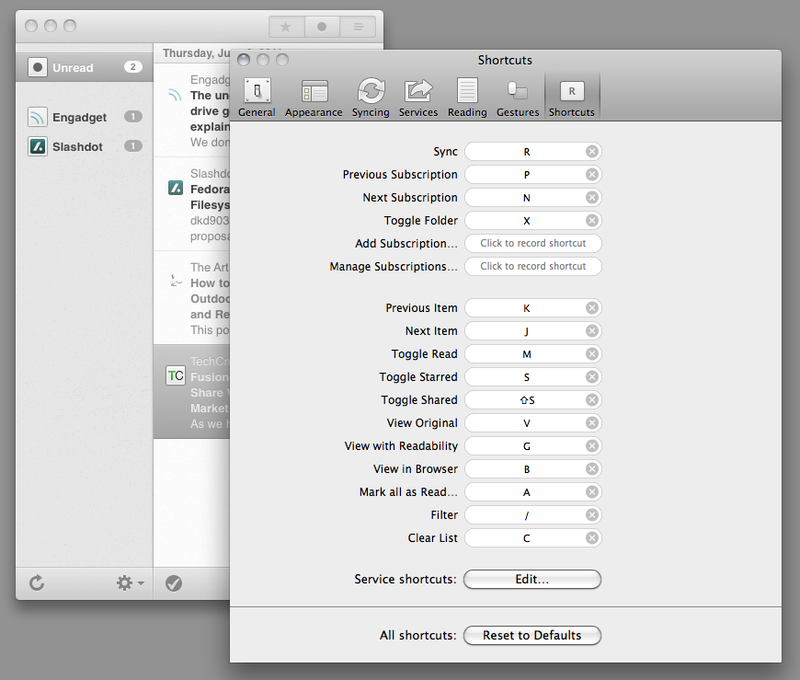 Shortcuts are non-command binding shortcuts. If you’re familiar with Photoshop shortcuts you’ll immediately see the benefit of not having to press more then one key and just tap to instantly send an action. Great UI is nothing I didn’t expect from the impeccably designed Reeder for iOS app. 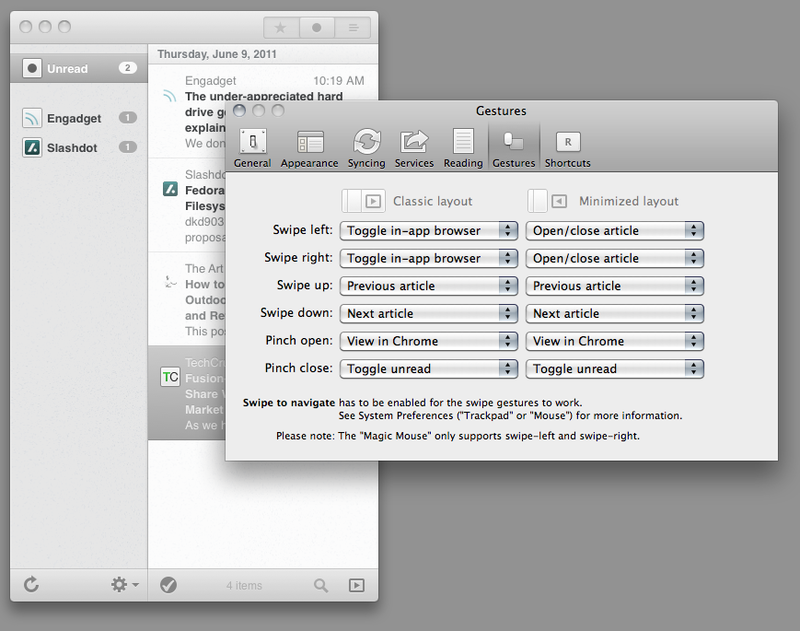 Reeder for Mac offers several choices to customize the look and feel exactly how you like. Tight Google Reader integration brings the much appreciated features like Star and Share directly to your desktop with none of the web based nuances found on the online version.